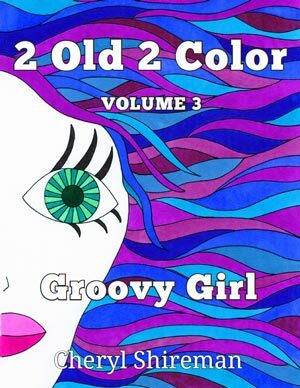 2 Old 2 Color is a series of coloring books made especially for adults (although Cheryl’s granddaughters Anna (6) and Katherine (2) love these books!). 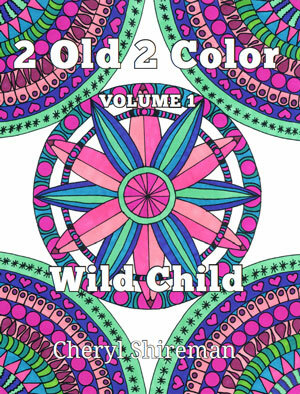 Release your inner child with this coloring book and feel the stress melt away! 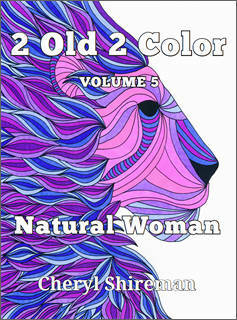 Forty fun and creative original images for endless hours of coloring bliss. After a few hours of coloring you may find yourself chewing bubble gum and wishing on stars. Don’t say we didn’t warn you. CAUTION: Use of this product may result in an increase in joy, spontaneous giggling and the urge to run through mud puddles. Cheryl Shireman is an author of many bestselling novels. In her spare time, she also enjoys writing books for children and creating coloring books for adults. She lives on a beautiful lake in the Midwest with her husband. Cheryl has three adult children and three adorable grandchildren. When she is not creating books, she enjoys mountain hiking, lake kayaking, and flower gardening. 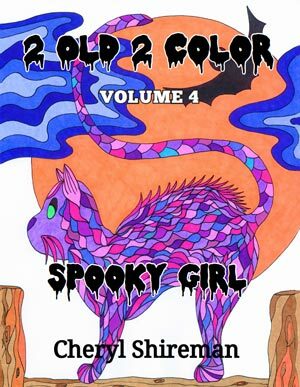 The first book of her popular Cooper Moon series is now free as an ebook through most online vendors. You can find Cheryl and 2 Old 2 Color on Twitter, Facebook, and Instagram. 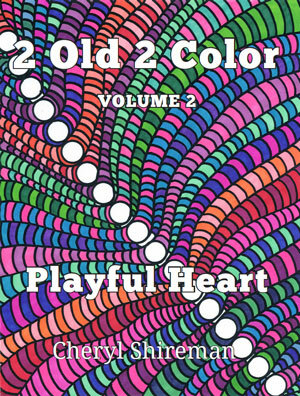 Be sure to sign up for newsletter to receive updates on upcoming volumes of the 2 Old 2 Color series of adult coloring books!